This product is featured in: Why the shot in cartridges should be made of gold and How to build a wooden tower for shooting pigeon – and why you should. And in the name of pest control, hardware and consumables have to be reliable, of good quality and economical. Unfortunately, as ammunition prices continue to escalate, due to the increased cost of raw materials and the exchange rate, ?economical? is perhaps not how most people view the price of their ammunition. So called ?pigeon cartridges? tend to be packed in cheaper packaging and cases to save money, but the performance is unaffected and they are therefore equally as good for shooting any game suitable for such a load. 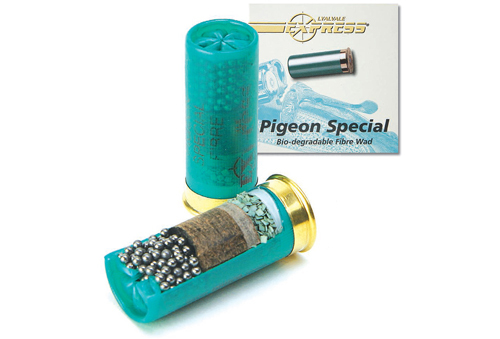 Anyway, I don?t like the ?pigeon cartridge? moniker because it implies cheap and nasty and this is simply not the case. Pigeon shooting tends to be a solitary pastime and as most of us pick up our empty cases, there is no one else to see that we are not using swanky cartridges with super long brasses. So don?t worry about it! Although most pest damage occurs on arable land, to control numbers effectively it may be necessary to get at them on adjacent uncultivated land where plastic wads may be unacceptable. With that in mind, we are going to look at fibre wad pigeon shells only, so please bear in mind that there are plastic wad alternatives out there which usually run out a little bit cheaper. One of the great things about pigeon shooting is that if you get everything right, you can end up enjoying a big day with a lot of shooting. This means firing-off cartridges like they?re going out of fashion – but it isn?t a problem – so long as they?re comfortable on the shoulder. This load is slightly lighter at 30gms, again in 6.1/2 only and comes in carry boxes of 200 with Realtree camo pattern on it, so watch you don?t lose it in the undergrowth! I can?t really see the point of this expensive packaging, surely it?s better to go for normal packaging and save some money? However in real terms they are not expensive at around £183. This cartridge from Express is likewise a 30gm, 6 shot only, so very similar to the Clear Pigeon and equally as popular over the years. Similar price too at about £189 for 1,000. 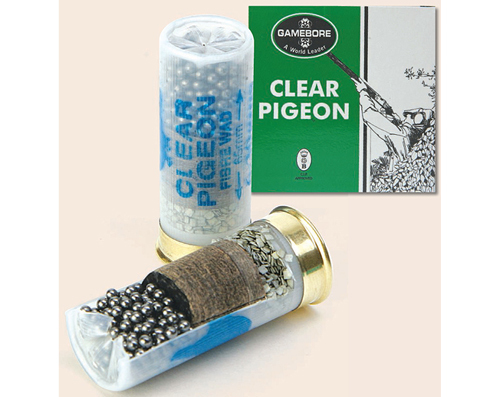 This cartridge from Gamebore has become a stalwart of the pigeon shooting fraternity and this 30gm (1.1/16oz) load in 6 shot only is part of a wide range of pigeon loads from this British loader ? however all the rest contain plastic wads. Expect to pay £190 for 1,000. This cartridge range comes in 30gm and 32gm but only in the latter if you want a fibre wad, which is what we are looking at here. I don?t understand why they don?t do the 30gm in a fibre wad but there we are. 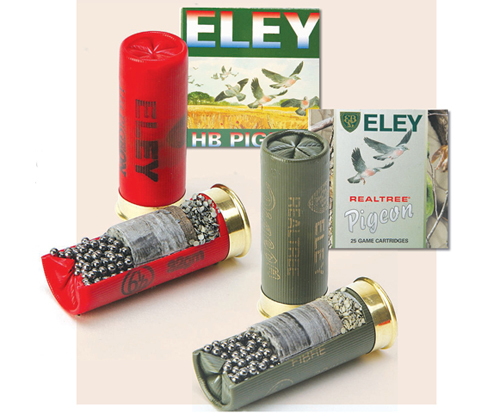 These are great quality cartridges but at about £197 per 1,000 they are also looking a little expensive to me. 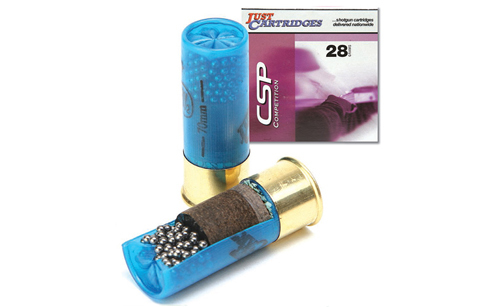 Available exclusively from from Just Cartridges, these were developed as high performance competition shells in a 28gm load ? 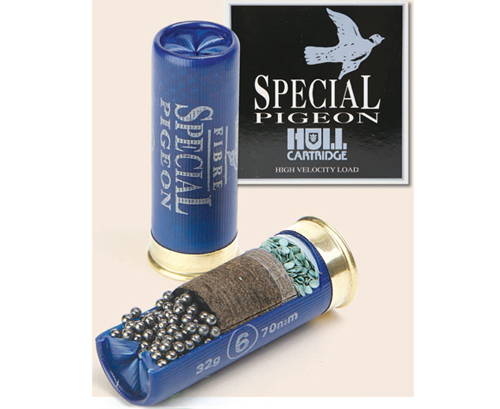 but in fibre with 6.1/2 shot it is also ideal for game and popular with pigeon shooters. I?ve included it in the list as a comparison from a purely economical view. It?s great pigeon fodder, hits hard and costs £173.50 per 1,000.